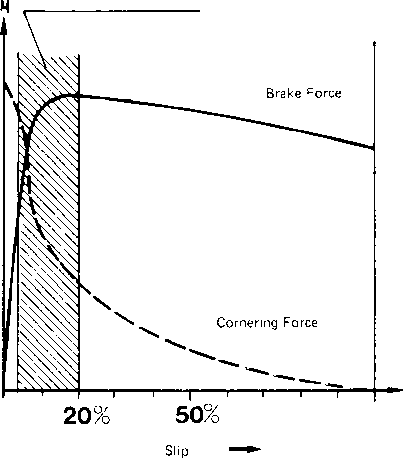 The diagram shows the interrelations of braking force, cornering force and slip. An increase in braking force causes a very fast reduction in cornering force and consequently in directional control and steerability of wheels. 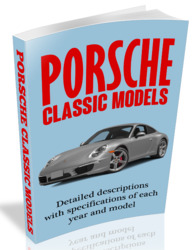 It is well known that absolutely no steering correction is possible when wheels have locked (100 % slip} — the car slides straight ahead in spite of turned front wheels. The operating range of ABS is designed to always provide sufficient cornering force with simultaneous introduction of maximum possible braking force. The major components of ABS are: hydraulic unit, electronic control unit, four speed sensors * and wire harness with relays and overvoltage tripout (on central electric board). 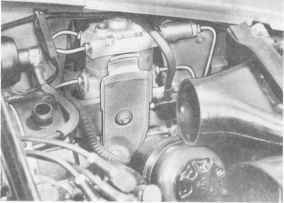 These components are integrated in the conventional braking system of cars beginning with 1984 models. 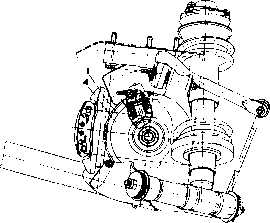 The conventional braking system of cars beginning with 1984 models has been changed as compared to that of older models in brake circuit division (now by axles), stepped brake master cylinder (piston diameter of both pistons formerly the same) and brake force regulator (see page 47 -18 a). 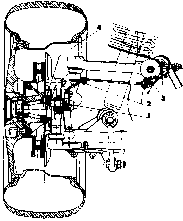 * A pulse gear belongs to each speed sensor. Pulse gears are pressed on front wheel hubs of front axle and machined on axle shafts of rear axle. 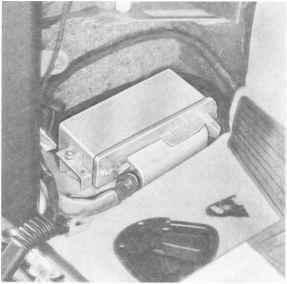 The electronic control unit is located above the hood release handle on driver's side of car (above central electric board in RHD cars). The control unit uses the speed sensor signals to calculate the necessary control and regulation commands for the hydraulic unit. 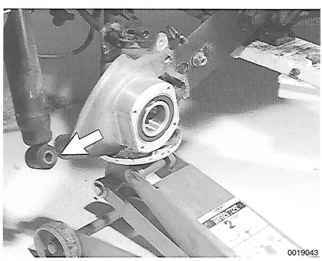 The hydraulic unit is located on the left front wheel house wall. It processes the electric signals coming from the electronic control unit. Speed sensors are arranged on all four wheels. These inductive sensors are held in area of pulse gear rings of front wheel hubs or wheel end shafts on rear axle and produce an alternating voltage for each pulse tooth. This alternating voltage changes its frequency to indicate speed, acceleration and deceleration of wheels, and is processed in the control unit.